At the Glocknerhof you can go on holiday, go out and do something or simply relax all year round. We only take a break from the end of October to the beginning of December to get the Hotel back “in shape” again. Our price calculator shows you exactly from when and until when the rooms are available, or you can simply send us an enquiry. 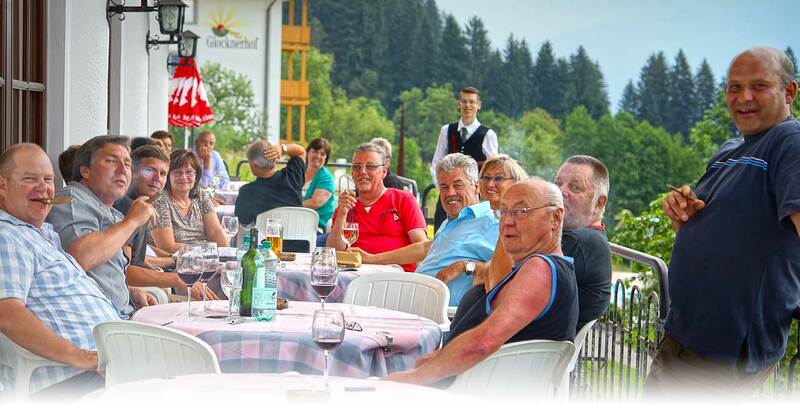 Some activities are a hit all year long, such as angling on the River Drau, flying model aircraft, hiking, horse riding and excursions to the Carinthian lakes or the thermal spas in Kleinkirchheim, to Slovenia, Friuli or South Tyrol. Seminars, entertainment, health and wellness are also popular all year round and are always in season. Culture and traditional customs also play a big part in life in the Drau Valley. We especially recommend taking advantage of the less busy periods in spring or autumn for family parties, group holidays and club excursions. Then you can count even more on the best care and plenty of space.